After reading Our Happy Time by Gong Jiyoung (Thank you, Fully Booked, for being instrumental in getting this book to my stash! ), I immediately Googled if this story was made into a movie because one cannot let pass such an amazing plot. Since it’s a long weekend, I decided that now is the right time to see it and as expected, there was a (thorough) tug in my heart as I went through the whole plot. This movie tried its best to be faithful to the book, however, summarising the events in the book is a pain, considering the movie is already two hours long. But then, it still tried to put in as much detail as it can. I don’t know if it’s because this was released in 2006 that’s why the musical scoring wasn’t much of a big deal in the other scenes. Regardless, though, I think one of its strong points is the simplicity in its storytelling wherein it allows the audience to process through the emotions each scene brings. 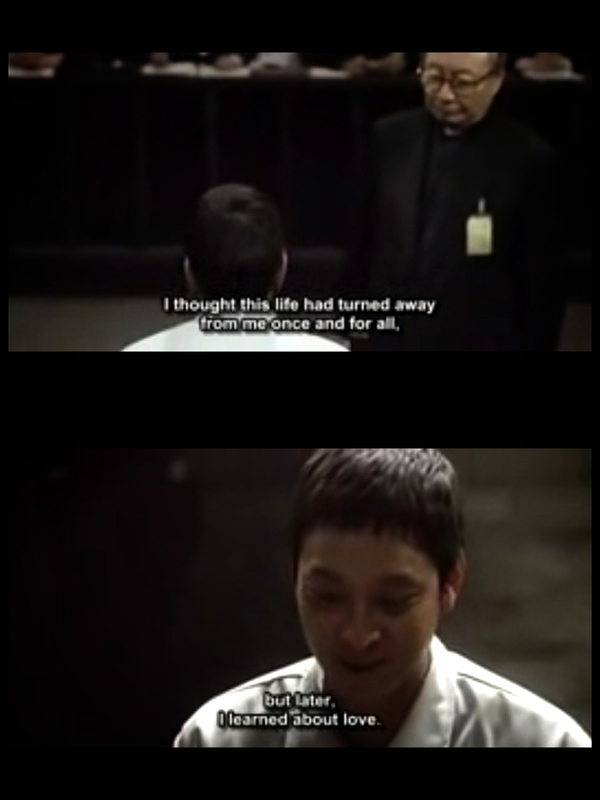 Surprisingly, the movie has consistently appealed to me the way the book and the manga did wherein it gave me an avenue to recognise and continue to think about my stand regarding death penalty, chances, forgiveness, and my attitude towards others. Hope you can see the movie for yourself and see how compassion, love, and concern, will make you think twice of not giving up – on yourself and on others.